Ahlem is a concierge at the famous Hotel Amigo whose history is inextricably intertwined with that of Brussels. 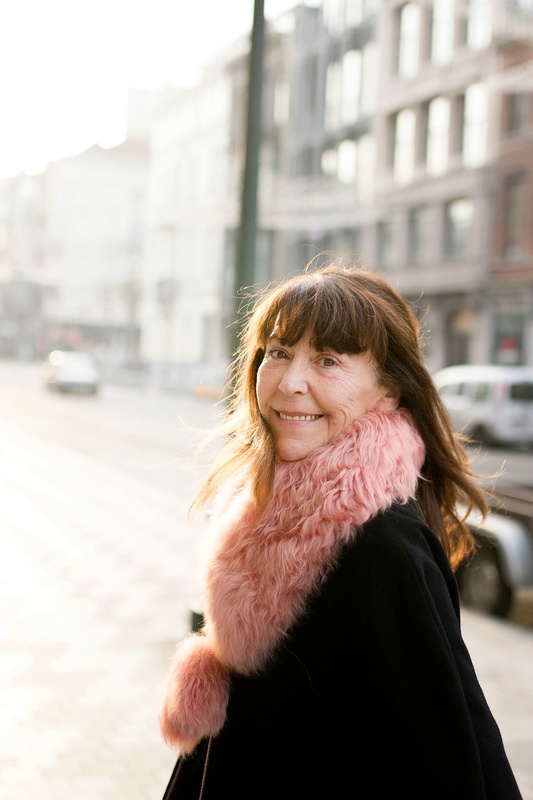 She enjoys sharing her passion for fashion and design with visitors to the hotel so that they can easily find their way to the wonderful boutiques in our neighborhood. 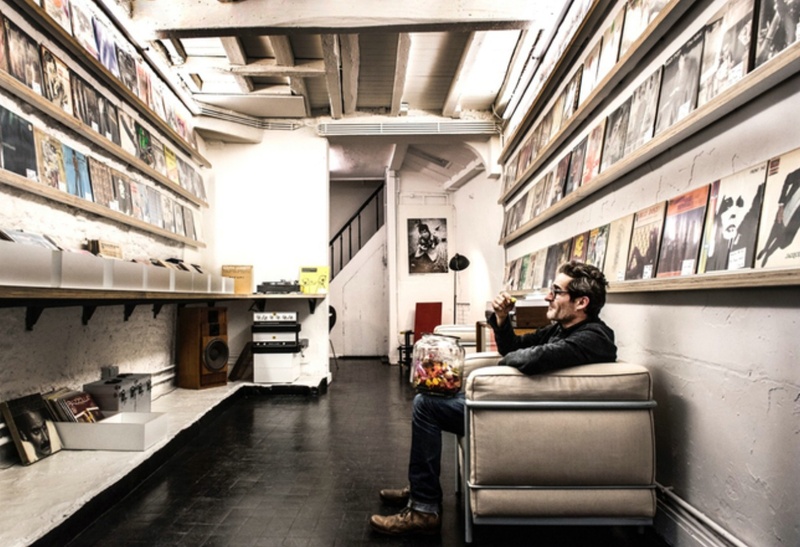 Seymour Kassel Records offers rare and original vinyl records to collectors and music lovers. 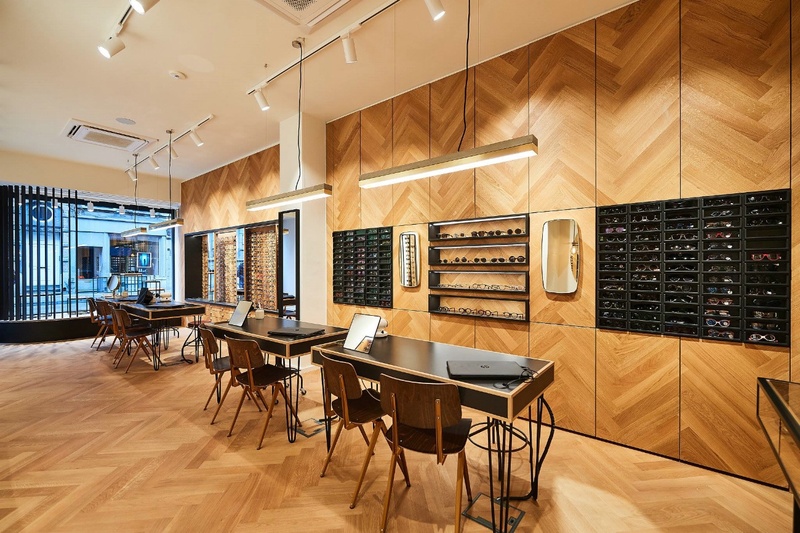 After 44 years in the business, Cappelle Optician's boutique in Dansaert got a brand new make-over. 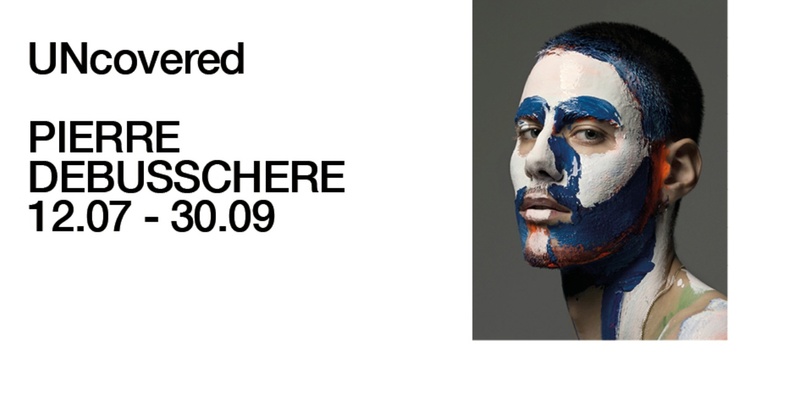 MAD, the Brussels platform for fashion and design presents UNcovered: Brussels based fashion photographer and director, Pierre Debusschere’s most personal project to date. The UNcovered exhibition is his first extensive exhibition that includes a preview of a new film and 90 unpublished photographs: a series of images in which the body is used as a pictorial and emotional material. 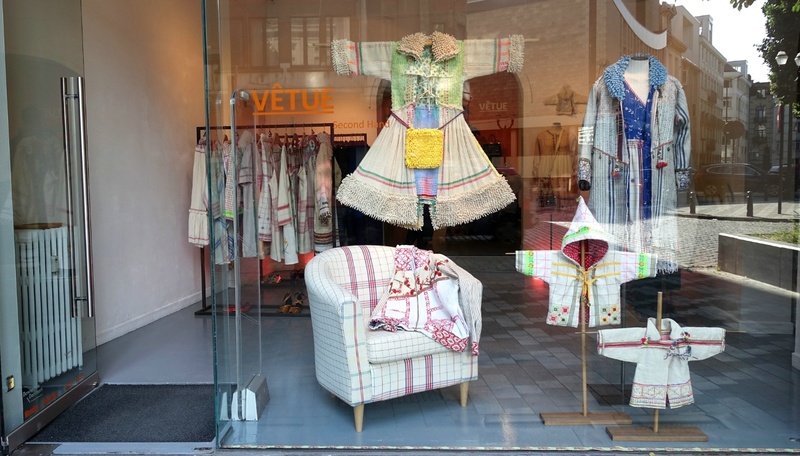 Vintage store for women, Vêtue, in the Rue Leon Lepage, is hosting Agnes De Man's collection 'Home Work' in their boutique. These marvellous wearable pieces of art contain pieces of household cleaning materials, nicely hidden in beautiful robes. A Suivre organised an impressive catwalk in their Dansaert store with pieces from their own collection, modelled by and combined with lingerie from the girls of Dunderwear, hair by the boys from Färg, who also both walked the show, make-up by Labelchic, drinks by Vylmer and vegetarian appetizers by Oficina. A Dansaert collaboration to which we proudly raise our glass! 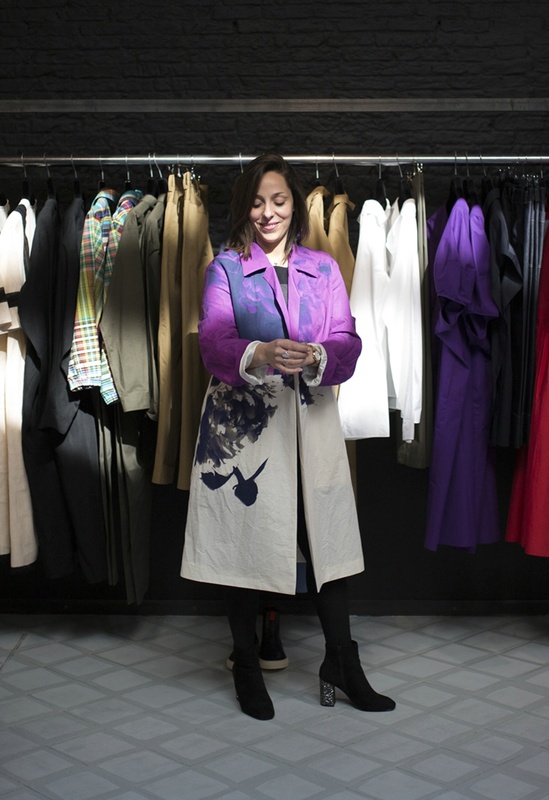 Nica Broucke has an eye for new trends, be it in art, fashion and design, music and dance, food and drink. Moreover she has inquisitive eyes! This helps her as a journalist to gather the latest news which she will generously scatter around in newspapers and magazines, at mundane parties or face to face over a cup of coffee.  The Dansaert area has no more secrets for her, and neither will it for you after you follow her trail. Linda Waesberge is not only the early bird around (each day before 7am a ‘Brussels today” photograph appears on her Facebook page, taken from her apartment in the heart of the Dansaert area), she flutters like a colorful, cheerful butterfly through the streets around Place Ste Catherine, eyes and ears wide open to everything new, beautiful or valuable. Take her along when you visit the area, as a guide, as a personal shopper or just as a cozy buddy and you will go home with a bag full of unique treasures and a big smile on your face. Today, she shares with us some of her treasured spots!